When I read Rising to the Berry’s post about making chocolate éclairs (recipe 123 as she bakes her way through the Mary Berry Bible – what a star!). It made me smile when she spoke about piping of them. I could identify with Annalise’s post after this weekend I tried to get rid of some left over meringue mixture by piping festive snowmen My snowmen had ended up with little tails from my rubbish piping skills in rather unusual places despite my pathetic attempts to flatten them. So instead of willing my baking to grow in the oven like Annalise I was willing mine to shrink. I prayed for about 30 mins or so loitering with intent around the oven hoping the snowmens tails would deflate. Of course the tails did not shrink at all in fact if anything I am sure they grew (must have been the heat!). When my son came in he asked excitedly if he could use the snowmen on his gingerbread house for a baking competition. Normally I would be delighted but this time it was a little embarrassing to explain why this was not such a good idea! I guess I could cut their tails off if needed (ouch!). For your eyes and amusement here is my sad piping disaster that created stand up snowmen. I’ll leave you all to draw your own conclusions as to why they might be happy as my mind is as pure as white icing sugar…but I can see these appearing on dodgy Christmas cards next year! Which bit would you bite first? I guess the thing that tickled me the most was placing one of these on my friends keyboard in the morning as I knew it would amuse her. We drew sweepstakes in the office to see which bit she would bite off first. As she left the office at break time when she thought nobody was looking she rather discretly gave the tail a little nip and the poor stand up snowmen was no more. I won that bet! Which bit would you bite first? This entry was posted in Disasters and tagged bad piping, baking disasters, funny baking, meringue, snowmen by Jacqueline Jay. Bookmark the permalink. 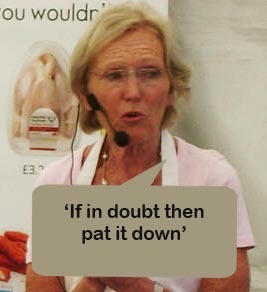 Brilliant post, I was laughing out loud I can’t see why Mary would not be impressed ;p Did you apply for the bake off? No not yet! 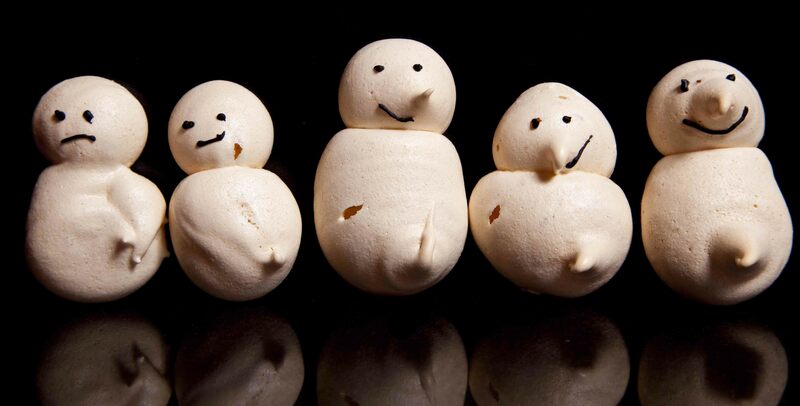 I think I need maybe another year so I can perect not getting tails on my meringues as If I did that on national telly it would be worse than the full on screen shot of the squirrel’s bits on the final show! 🙂 what about you are you applying? Interestingly though I have a series coming up in the new year on baking addiction and so with your name you will have to call back and check out how addicted you are! what can I say it could only happen to me! Watch out for the Christmas cards next year then (wink)! I’ll look out for the Christmas Cards next year. ha ha ha, enjoyed that! Thank you I would like to say I tried to do it but clearly I didn’t. These sorts of things just happen to me.